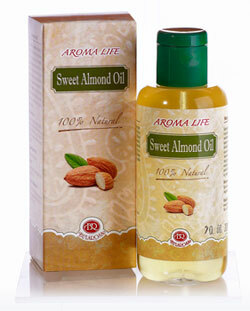 Almond oil is rich in fatty acids making it suitable for all skin types. It is quickly absorbed and soothes, nourishes, and softens the skin, reducing wrinkles. It stimulates the epidermis making it very effective against stretch marks and loss of elasticity in problematic areas. On its own or in combination with other vegetable and essential oils, it is suitable for skin and body massages. Almond oil is the undisputed leader among products for maintaining beautiful and shiny hair, and it also stimulates its growth. It can be used as an additive in face, body and hair care cosmetic products.